A recent survey by Podium suggests that that customers do trust and engage with online reviews regularly and these reviews remain very influential when it comes to making purchasing decisions. The way consumers engage with businesses has evolved – 82% of consumers do read reviews before making a purchase decision, and 60% look at reviews on a weekly basis. Further, the study suggests that two-thirds of consumers (68%) are willing to pay up to 15% more for the same product or service if they are assured they will have a better experience. A powerful figure indeed! And yet, the report suggests that businesses are missing a major opportunity because many to do not engage with customers or ask them to leave reviews. Additionally, 77% of consumers agreed they would leave an online review if prompted by a local business; 61% of consumers say they do leave online reviews in order to help others. However, current data notes that only 13% of small businesses ask customers for reviews. This data shows that you should always consider your reviews as hugely valuable and as an integral and fundamental part of your marketing activity. 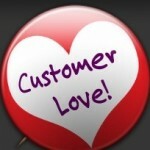 How many customer testimonials or reviews do I need? When is the right time to get a review? This is not something very many businesses will do and therefore sets you apart and creates a positive tone, in our experience this also increases the likelihood of a quick and positive response. Often once your work is complete and you have perhaps sent your invoice your client or customer has ‘moved on’ which will sometimes reduce the level of response you receive. While the overall value of business reviews is widely accepted, it has to be acknowledged that if they are not correctly managed a business can, through no fault of its own find itself facing a damaging review that is completely unjustified and that is often difficult to correct. The motives behind such reviews are numerous but this problem can be completely overcome if a strong validation/moderation process is applied, as is the case with Review Biz. This ensures that the power and numerous benefits that your reviews represent will be maximised and all risks completely removed. Now we all understand that historically we have put testimonials/reviews on our websites or promoted them in other ways, however the world has moved on (as it always does) and sadly this simply does not work anymore. However unjust it might be, viewers will undoubtedly question there authenticity, are they real? Are we just being shown the good ones? How old are these? Is this business still any good? This is where the crucial issue of independence comes in, if you are able to show that your reviews are – Independently Validated and Managed they will acquire the maximum credibility and influence and therefore do your business proud. In essence, such reviews are by far the best available. Finally, try and make requesting feedback and getting reviews as an integral part of your marketing, remember you don’t need dozens but the odd new one is always going to be good for business!